If you had thought Masashi Kishimoto had forgotten his Hollywood plans, then think again. The creator of Naruto is still in-touch with Lionsgate, and Kishimoto teased the film during a recent appearance. Earlier this month, Jump Festa went live in Tokyo, and the event paid homage to Naruto with a massive stage. 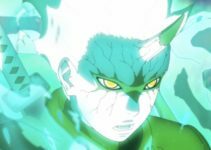 Shueisha revealed new updates about Boruto moving forward, but a letter penned by Kishimoto took a moment to acknowledge Naruto and its Hollywood future. “To everyone who came out to JUMP FESTA thank you for being here, even if it’s been cold lately,” Kishimoto wrote in a letter shared with convention attendees. “I think that I will out-do myself depicting something like that in 2018. And then there will be the Naruto hollywood movie,” the artist continued. If you are not caught up on all things Naruto, then you should know its live-action film was announced last December. 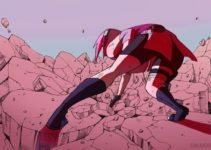 The film, which is currently in pre-production, has Kishimoto overseeing its development along with two screenwriters. Jon and Erich Hoeber were tasked with writing its script with Kishimoto’s input. Michael Gracey is set to direct the picture while former Marvel Studios head Avi Arad will tackle production with his company Arad Productions. There is no word on how the live-action film will tackle Naruto. The series debuted back in 1999 and tells the story of a young ninja named Naruto Uzumaki. The boy, who is hated for the demon he contains, dreams of becoming his village’s strongest ninja. The long-running series ended in November 2014 and has amassed millions of fans worldwide. If Lionsgate wants the film to avoid the blunder Dragonball Evolution fell into, it will do its best to keep the anime fandom happy with this live-action venture. 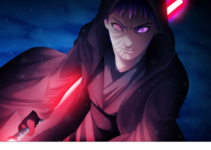 And, should the film fail – well, Naruto fans will let the studio know. How do you feel about the live-action plans for Naruto?